In a tense fight with a spear-wielding samurai, I dash and jump left and right, observing the imposing foe’s moveset. When should I deflect his spear? When should I jump over it? After several failed attempts, I realise I can sneak behind him and remove half his health with a simple backstab. Then ensues the most satisfying moment I’ve had in the game so far: I deflect every swing he makes, tiring my opponent out, then counter his lethal thrust attacks by leaping towards his spear, only to stomp it into the ground, then plunge my sword into his exposed neck. It’s safe to say Sekiro has the most exhilarating, kinetic swordplay of any game I’ve played. FromSoftware’s previous games, the notoriously difficult yet brilliant Soulsborne (Demon Souls, Dark Souls 1-3 and Bloodborne) franchise, can’t hold a candle to the lightning quick, responsive combat of Sekiro. While Dark Souls relied more on shield blocking or well-timed dodges to succeed, in Sekiro it’s about parrying or “deflecting” enemy attacks with a quick tap of LB/L1. A successful deflection rewards the player with an incredibly satisfying clang of metal that I never got tired of hearing. This has two effects: you don’t take any damage from a deflected attack but more importantly, you degrade the enemy’s posture. Posture is a meter that builds up for you and enemy characters as you receive damage or block subsequent attacks and is central to combat. When posture is broken, it leaves you or enemies open to further attacks. Thus, beating tougher enemies is less about depleting their health to zero and more about managing your own posture gauge while chipping away at theirs. When their posture is depleted you can execute a “deathblow”, a killer animation resulting in instant death for regular enemies and serious damage to bosses. The already excellent combat is further supported by shinobi prosthetics. Your character’s left arm is an artificial limb which you can attach various gadgets to, from a simple shuriken thrower to a deployable umbrella-style shield you can raise to block any attack. You can have three of these equipped at time, or pause and change them on the fly to suit the situation you are in. I love the shuriken in combination with an ability that allows me to rapidly close the distance on an enemy immediately after a throw, while the firecracker attachment allows me to release a short-range burst of fireworks to stun nearby opponents. Some of the attachments are a little underwhelming and I struggled to find a good use for them, but most are solid and augment how you play meaningfully. The prosthetic attachment you’ll use most is the grappling hook. This incredibly fun gadget is unlocked almost immediately and helps you cross large gaps, gain a height advantage or get out of tricky situations, while some sections are almost like platformer/jumping puzzles where the grappling hook is mandatory. It can even be used as a weapon against some bosses. The best thing about it is just how cool and stylish the animation is when you use it. Never has pressing the left trigger been so fun. 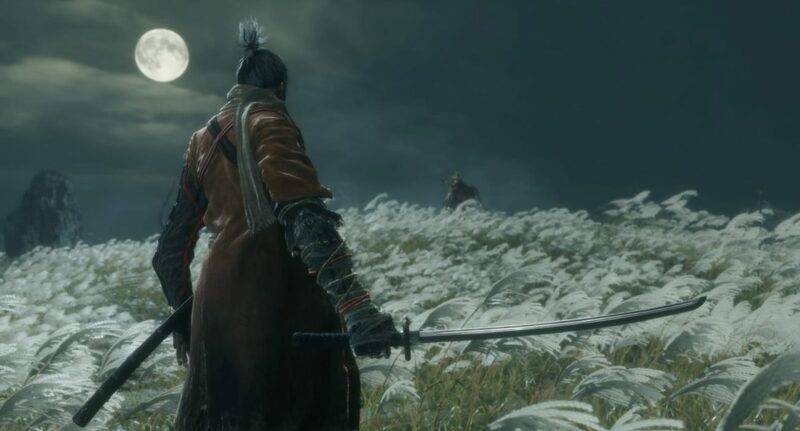 To the disappointment of some, Sekiro does not allow further gear customisation like most traditional RPGs or the Dark Souls franchise. It is a shame you can’t change your outfit or weapons, but this is deliberately restricted to fit with the character. There is still a large amount of progression in terms of skills that unlock new abilities as well as a large upgrade tree for your various prosthetic tools. The basic stealth elements of the game add a further layer of complexity. Stealth is especially useful for dispatching enemies surrounding a boss to allow for an easier one-on-one fight, or for the opportunity to immediately weaken the boss itself. 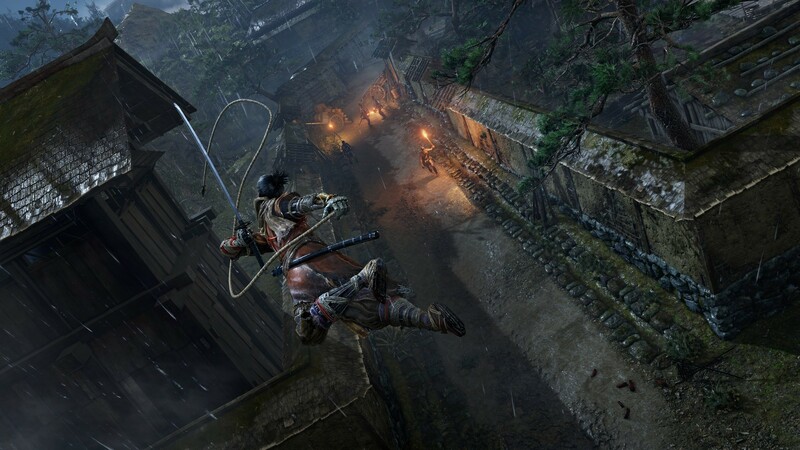 This makes tackling the various areas and settlements of Sekiro slightly easier, as you can avoid some tough enemies or assassinate them. The story is based on the Sengoku period in Japanese history, a near 200-year era of conflict between the 15th and 16th centuries. You play as the shinobi nicknamed Sekiro, meaning “the one-armed wolf” and are tasked with protecting the young lord Kuro. I won’t spoil the story, but it’s immediately more accessible than the story and lore of Dark Souls, which relied heavily on reading vague item descriptions or cryptic clues from NPCs. 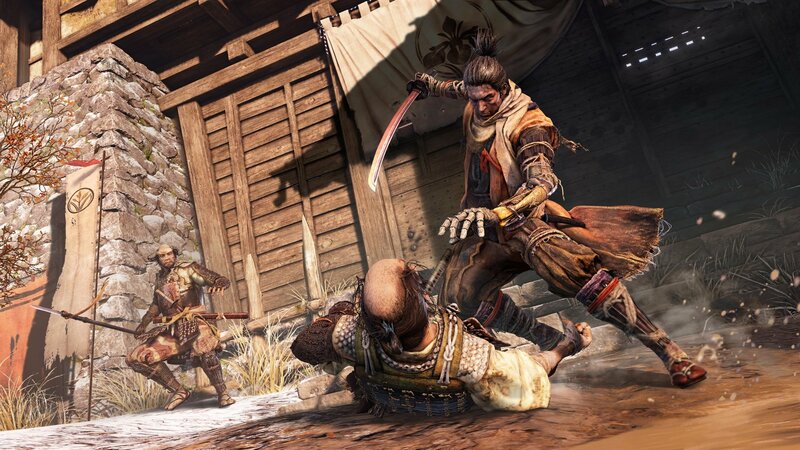 Sekiro himself is fully voiced and even has dialogue choices, some of which can have critical story impacts. At times the story felt contrived and occasionally a bit boring, but this does not detract from the phenomenal gameplay. Prior to launch many Dark Souls fans feared Sekiro would be too “easy” or “casual”. Well, they were wrong. This game is brutal. You start with so little health and the steep learning curve from Dark Souls, and indeed other third-person action RPGs, is very much present. Regular enemies hit hard and will kill you in only a few hits if you’re not careful. Thankfully, they too are reasonably easy to kill for the most part. The bosses and mini-bosses are on a different level. I’m pretty sure all of them took me multiple attempts, and a few stumped me for hours. They are a true test of skill and encourage you to master the combat system. Despite the difficulty, I never really felt the bosses were unfair or too strong. They hit like a ton of bricks and have a lot of health and posture, but with the right skills and reaction times, they are quite possible to beat. My only small complaint is that the final boss, who is naturally the hardest, had perhaps one too many phases to his fight, which meant managing my health was very difficult. Or perhaps I just need to get better. Thankfully, Shadows Die Twice isn’t just an edgy title. It references the games rather unique revival mechanic. A couple of times per life, you can resurrect yourself upon death and carry on the fight, which is particularly useful during boss fights. You can then restore these resurrections by resting at a shrine (essentially checkpoints), or by accumulating several kills. However, you cannot resurrect yourself in rapid succession: you must perform a shinobi deathblow to unlock the second resurrection. This is also useful against groups of foes, as if you die you can wait for them to wander away from your corpse, then spring to life and re-engage or attempt a hasty retreat. I enjoyed every minute of Sekiro: Shadows Die Twice. I got stuck, frustrated and swore, but nothing in gaming comes close to the tension, excitement and relief of finally beating a difficult boss in a FromSoftware game, and the intense, innovative swordplay sets a new standard in third-person action RPGs. Simply, a fantastic yet brutal experience.